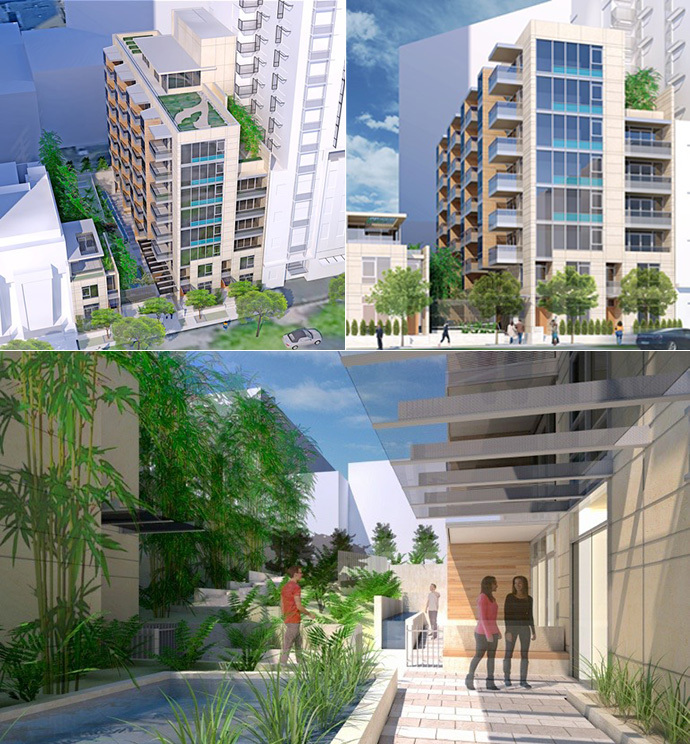 The Vancouver Condo Buzz » SPECTACULAR NEW Vancouver & Burnaby Condo Developments COMING SOON! REGISTER TODAY! 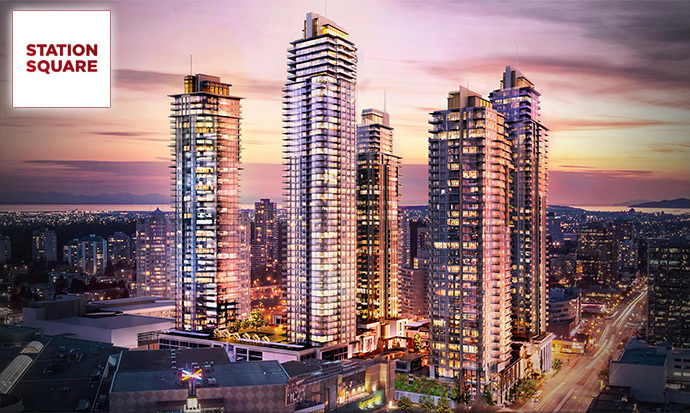 The Most Exciting Presale Vancouver Condo Developments in the Lower Mainland for 2016! Metrotown Station Square Burnaby Condos – The Grand Finale! What better way to end our blog post then to talk about the most exciting tower at the master planned Station Square Metrotown condo towers by Anthem Properties and Beedie Living? The GRAND FINALE at Station SQuare Metrotown is located at 6080 McKay Avenue Burnaby BC. With huge sell-outs in their previous phased releases, Station Square Metrotown condos has become one of the most exciting and sought after developments in the Lower Mainland over the past few years. The Grand Finale at Station Square is your last opportunity to own a new home here. And guess what? They’ve saved the best for last! With world class architecture, 2 distinct high-rise condominium towers and a launch in Fall 2016, now is the time to express your interest in this fabulous new project. The architecture is designed by Chris Dikeakos Architects Inc and the interior design is by Bob’s Your Uncle Design Ltd. Metrotown’s Station Square III is expected to release a wide range of floor plans between studios and three bedroom condominiums as well as a select few townhouses. Visit www.stationsquare.ca for more details or you can register with us for more information about Station Square III condo pricing, availability and features when they are released to the public! One of the most exciting preconstruction Vancouver landmark towers is coming soon to the Yaletown district. The new Vancouver 8X on the Park condos is brought to the marketplace by Brenhill Developments, a notable developer of high-end and truly unique projects. One of the most amazing features of the landmark high-rise is the architecture, which is very modern and will forever transform the skyline in the Yaletown Vancouver district. 8X on the Park Vancouver condos will feature a great selection of floor plans that will range from junior 1 bedrooms (studio plans) to over 100 three bedroom family sized luxury residences. The other great feature of the Vancouver 8X on the Park Yaletown condos is that it is situated right beside a beautiful urban park (Emery Barnes Park). The project site location is at Richards Street and Helmcken Street. The 8X on the Park presentation centre will be situated on Hamilton Street between Davie Street and Helmcken Street. 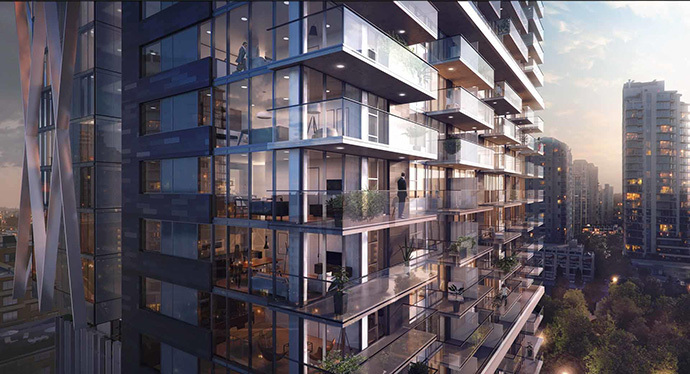 The landmark Vancouver 8X condos will also feature high ceilings, luxurious interior finishes/features, spacious/functional floor plans as well as concierge service. There will also be concierge services and resort style amenities on-site. The prime Vancouver Yaletown location will put you within close walking distance to everything including boutiques, restaurants, movie theatres, banks, parks, nightlife, transit, the SkyTrain, Granville Street District and much more. The unique architecture of 8X Vancouver condos is by GBL Architects. Previews for the preconstruction condos will start May 14th, 2016. For more details, visit www.8xonthepark.com or register your interest on this page today! 8X on the Park will change how you view downtown Vancouver urban living! Located at Seymour and Davie Streets in Downtown Vancouver, the highly anticipated 1121 Seymour Vancouver mid-rise tower will be launching soon. 1121 Seymour is brought to the market by Wall Financial. This very rare collection of spacious homes in Yaletown Vancouver will feature only 38 residences for sale in a prime and highly sought after location. Walkable to everything including transit routes, the Yaletown SkyTrain Station, Yaletown, Granville District, the Entertainment District and Business Districts, 1121 Seymour Vancouver condo tower will be a signature landmark development in the heart of this bustling community. Live next to boutique grocers, shopping, high-end and casual dining, eateries, coffee shops, dog parks, urban parks, banks, schools, the waterfront district and much more. 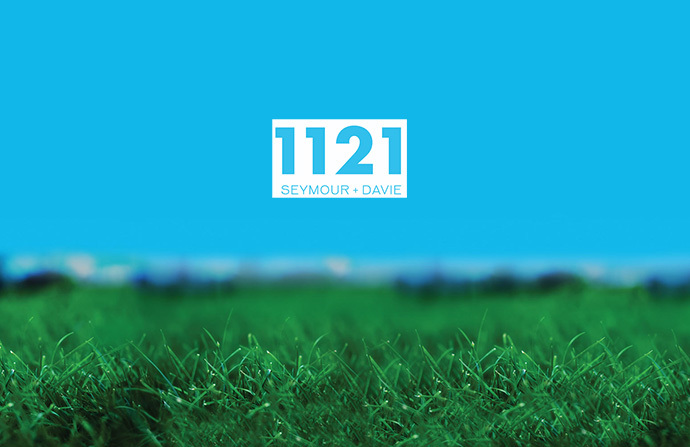 According to their advanced marketing, the 1121 Seymour condos in Vancouver will be launching in early 2017. Located just a block off Davie Street, the project site is across the street from Ray Emery Barnes Park. What’s important to note is that the luxury Vancouver 1121 Seymour condos will be connected to another Wall Financial project which features affordable rental apartments that is already under construction at 1107 Seymour Street (at Seymour and Helmcken). The affordable housing component plus the luxury Vancouver 1121 Seymour condos and townhomes are being built at the same time and are seamless in architecture as they are also designed by the same architectural team. However, the foundations are separate as is the parking. There are no shared walls between the two towers. What we do know about the 1121 Seymour Vancouver condo mid-rise is that it will be roughly 9 storeys in height (small and boutique!) and there will also be 3 two level townhouse units at the front of the building. There will be at least 5 units with 2 or more bedrooms and the remaining 33 homes will be one bedroom and studio apartments for sale. The 1121 Seymour Vancouver Yaletown condos will also feature garden plots on an 9th floor amenity deck. There’s going to be a lush courtyard as well. On the other site of the building is the Brava residential condo tower. The 1121 Seymour Residences are designed by Endall Elliot Associates Architects. Visit www.1121seymour.com for upcoming details about presales and pricing or you can simply register on this page and we’ll keep you informed! This is one that is quietly making headlines in the Vancouver real estate community. As part of the extensive Davie Village Community Plan, Marcon (a boutique developer of luxury residences and one of our favourite builders) is planning an amazing master planned condominium project in the West End Vancouver market. 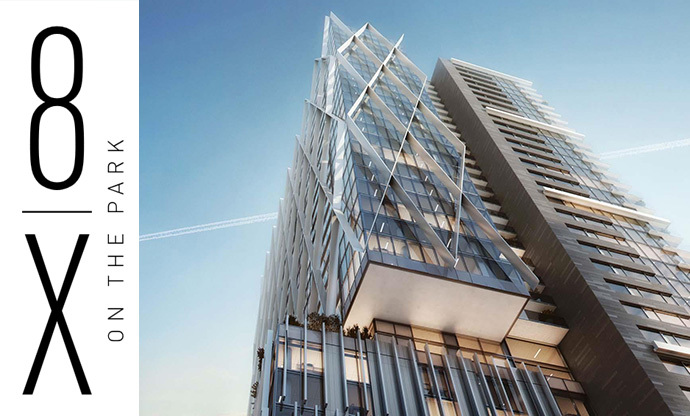 The Mirabel Vancouver West End condos will most likely feature two landmark towers. Some of the impressive features of these residences is that functional and spacious living spaces are being optimized for impressive views and affordability. 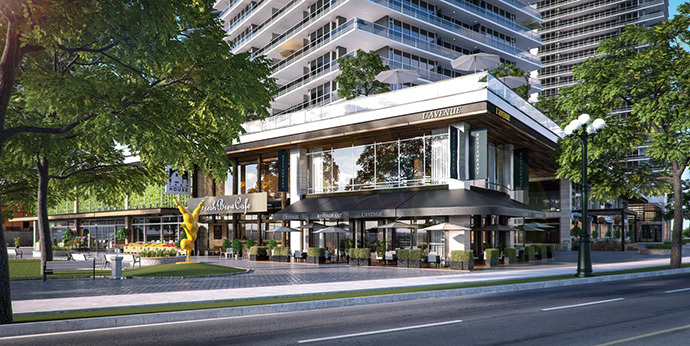 The Mirabel Vancouver Davie Village condo towers will bring a great variety of floor plans and price points to this West End Vancouver community that is in dire need of new housing options. Best of all is that Marcon is an established builder that will be the best developer for this type of project. Stay tuned for more details about the presale Vancouver Mirabel condos in the West End Davie Village community. You can register your interest on www.marcon.ca or on this page and we will keep you updated on sales events and official grand openings of their presentation centre. A generational type development is coming soon to the ever-changing and growing Brentwood Burnaby real estate district. A massive new project by Canada’s largest builder in Concord Pacific, will be launching in the heart of Burnaby’s Brentwood neighbourhood. Here, homebuyers will find prestigious park side living at the largest park in Brentwood as well! Urban Convenience, 360 Access, Urban Amenities and more. 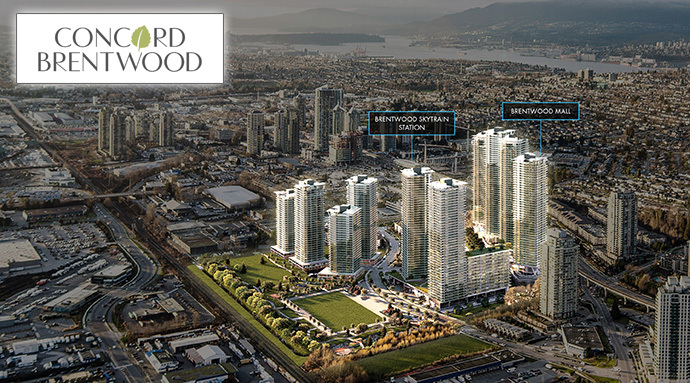 Concord Pacific’s newest master-planned community, Concord Brentwood condos, will feature 10 residential towers anchored by 13 acres of green and park space. This visionary community will also include the future Village Central at Concord Brentwood, offering residence the convenience of a brand new grocery store, park side cafes and restaurants plus access to endless amenities. Urban convenience, 360 access, and 5 minutes walk to the Willingdon Avenue and Lougheed Hwy junction, which is currently experiencing the neighbourhood’s most exciting revitalization and transformation, everything you need is within reach. Some of the urban conveniences within walking distance from the preconstruction Burnaby Concord Brentwood condos include an community grocery store, Brentwood Market at Brentwood Town Centre, Whole Foods Market, Save-On-Foods, Costco, London Drugs, TD Bank and Home Depot. There will also be community eateries and cafes, Brentwood Town Centre shopping and dining boulevard, the future Gilmore Shopping Plaza, Browns Social House, JOEY Burnaby and Grand Dynasty Seafood Restaurant. A new school at Concord Brentwood Burnaby real estate development will be built and other shocols like BCIT, Brentwood Park Elementary, Burnaby North Secondary, Brentwood Montessori Preschool/Kindergarten, SFU Burnaby Campus are all nearby. Three SkyTrain stations are close by including Brentwood, Gilmore and Holdom Stations as is the Trans-Canada Highway. The Burnaby Concord Brentwood condo development will also feature a public park. Other highlights in the Brentwood Burnaby neighbourhood include a future cinema at Brentwood Town Centre, Burnaby Mountain Golf Course, Burnaby Lake Park, Grand Villa Casino Hotel & Conference Centre, a bowling centre and Steve Nash Sports Club. The most livable community is coming to Burnaby soon. Concord Pacific’s newest master-planned community development features a 13-acres park, 10 residential towers and lower podium suites plus a Central Village Plaza. SkyTrain, Brentwood Town Centre and other urban conveniences are within minutes walking distance away. This is the preconstruction Burnaby Concord Brentwood condo development. Stay tuned for more details and visit www.concordplacebrentwood.com or you can register your advanced interest on this page!